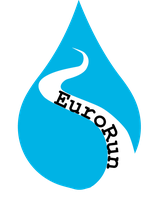 The Core team - freshproject-euroruns Webseite! Dr. Katrin Attermeyer is currently working at the University Uppsala (Sweden). 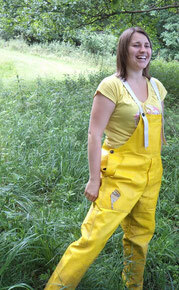 She did her PhD at the Leibniz-Institute of Freshwater Ecology and Inland Fisheries in Neuglobsow. 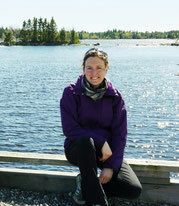 Her focus is on aquatic microbial ecology and the carbon cycle. She is particularly interested in the microbial carbon turnover and the processing of allochthonous versus autochthonous carbon in all kinds of freshwater systems. Dr. Clara Mendoza-Lera, currently a postdoctoral researcher at IRSTEA (France), did her PhD at the BTU Cottbus-Senftenberg (Germany). Her work focuses on understanding the interactions between the hydromorphological characteristics of the streambed and the microbial communities inhabiting it, and their significance for stream metabolism and nutrient cycling. 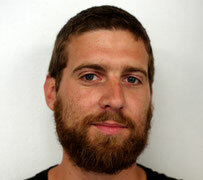 Georg Niedrist, Msc is a PhD candidate at Innsbruck University (Austria). He studies alpine streams, benthic invertebrates, their trophic relationships and strategies to process autochthonous sources. In particular, he focuses on understanding the effect of changing hydrological situations on the performance and function of stream inhabitants. 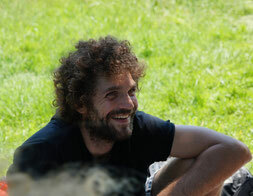 Dr. Pascal Bodmer recently finished his PhD thesis at the Leibniz-Institute of Freshwater Ecology and Inland Fisheries in Berlin (Germany) under the supervision of Dr. Katrin Premke and now working at the University of Koblenz-Landau. He is studying carbon fluxes in streams and especially interested in the quality of the carbon and how this is driving carbon turnover and emissions from these systems. 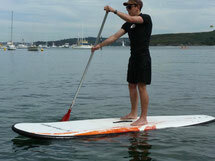 Peter Gilbert is in the final stages of his PhD at Northumbria University (Newcastle, England). His research to date has focused on elucidating the role of both permanent and temporary ponds in the carbon cycle; from quantifying their standing carbon stocks to monitoring the spatial and temporal variations of CO2 and CH4 fluxes. Dr. Francesca Pilotto is a postdoctoral researcher at Umeå University (Sweden). She did her PhD at the Leibniz-Institute of Freshwater Ecology and Inland Fisheries, Freie Universität Berlin (Germany) and Queen Mary University London (U.K.). Her research focuses on the responses of aquatic macroinvertebrates to various hydromorphological conditions, human-induced pressures and invasive species. Dr. Nuria Catalan is a postdoctoral researcher at Uppsala University (Sweden). Her focus is the study of carbon biogeochemistry in any aquatic systems, from rivers, lakes, ponds, even in their dry phase. She is aiming for a better understanding of carbon processing at regional and global scales, focusing on the study of dissolved organic carbon composition and reactivity patterns. She is interested in unraveling how this composition is linked to microbial functioning and how it ultimately drives carbon dioxide and methane emissions from freshwaters.